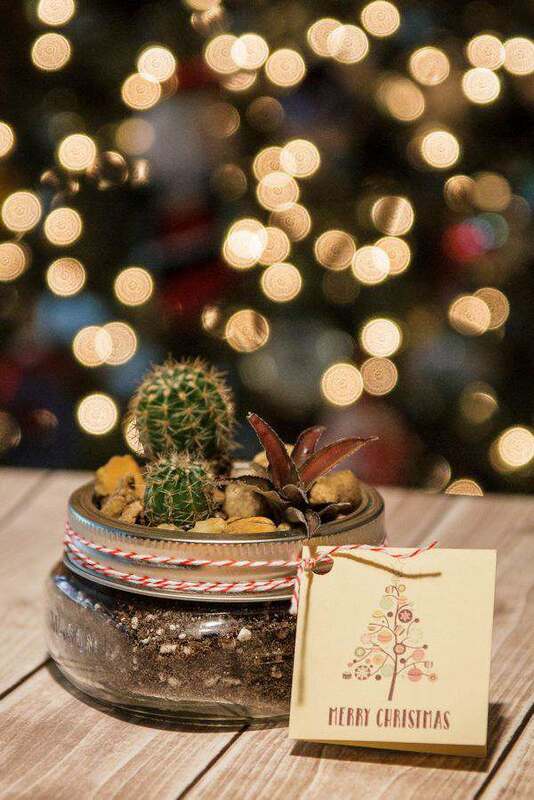 I love giving gifts garden related and this year I decided to make a few Mason jar gifts with succulents planted in them. So cute and just the right size for someone who wants to start off small with a plant. Succulents are an easy plant to grow and you don’t have to worry about watering very much. For the sand, since I live in Florida, I just dug up a little bit from my yard. The small baby succulents came from a neighbor who grows all kinds of beautiful succulents. You can find small ones at any place that sells houseplants. I also picked up some rocks from my yard too. I love reusing items I already have lying around the house. 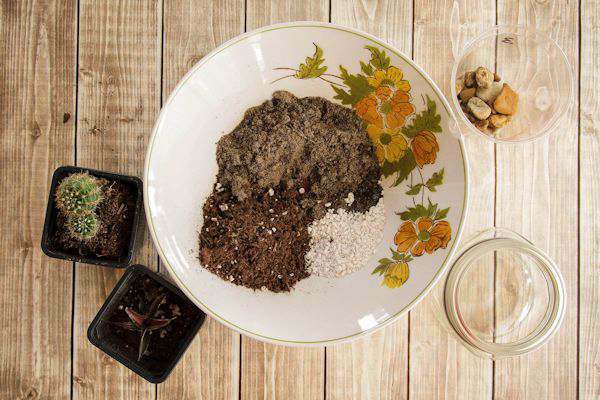 Mix up your 3 soil items. You want the soil very lite with a lot of perlite. Next fill your Mason Jar with the soil mixture about 3/4 full. 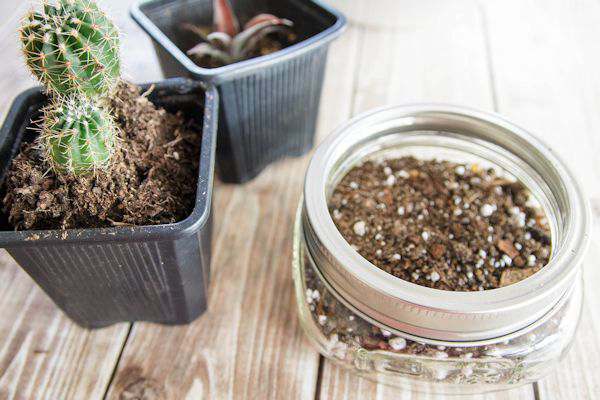 Carefully transplant your succulents and fill any open area with leftover soil mixture. 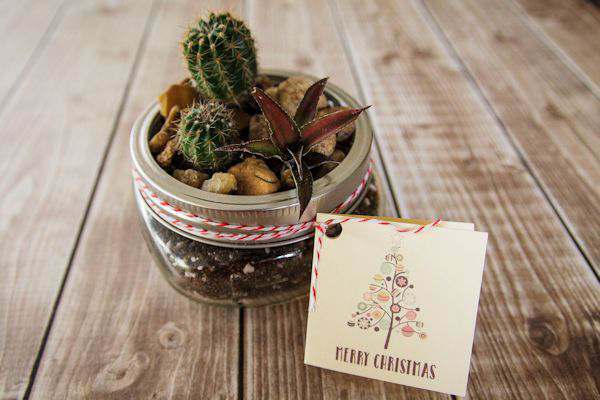 You can wrap the thorny succulents with newspaper to keep from getting thorns in your fingers. 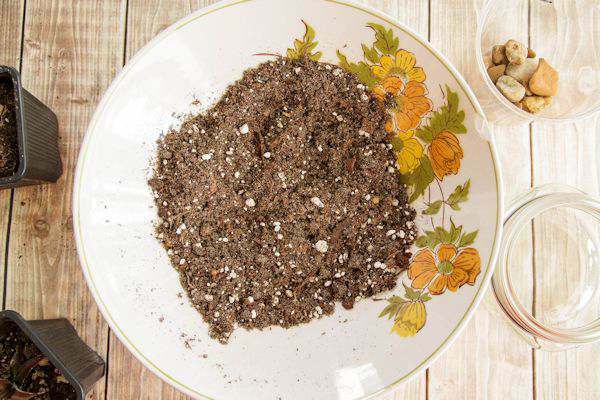 Use a plastic spoon or pencil to push down the soil to make sure there aren’t any pockets of air. Decorate with stones or rocks. I do add just a little bit of water at this point. Maybe a couple of tablespoons. Succulents do need a little bit of water to grow. Don’t over water. 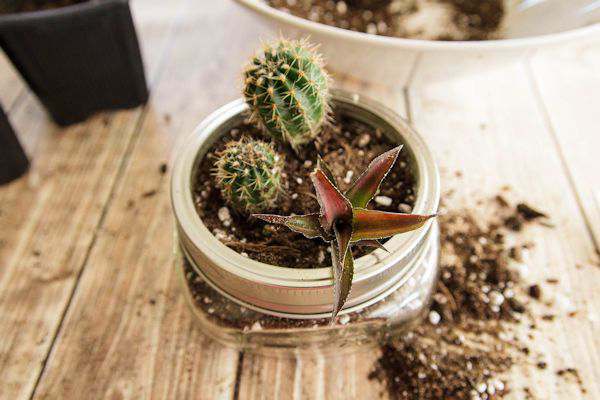 Depending on the succulent, they will grow out of a small Mason jar. But it will be a while. I wanted to make a cute tag to put on the jar. 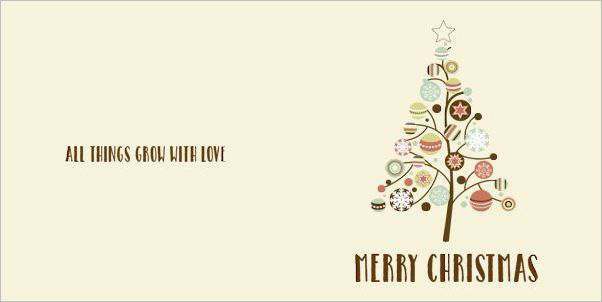 I thought a Christmas tree would be perfect for the front and use my own fonts. I headed to my “go to” website to find the perfect Christmas tree graphic. I found this graphic at Graphicstock when they were having a free trial. There are thousands of royalty free photos, vectors, and illustrations to choose from. Just put what subject you are looking for in the search area. You will have unlimited downloads to the library of over 250,000 images. After downloading the .jpg, I used Photoshop to make a 2″ x 4″ tag template with the tree on the front and “All Things Grow with Love” on the back. The inside was left blank for the note I would write to the recipient. After cutting the tag out, I folded it in half, punched a hole in the corner and tied the tag to the jar with bakers twine for the finishing touch. If you don’t have Photoshop, there are other online photo editing software available. A perfect garden gift for neighbors, family, teachers or co-workers. 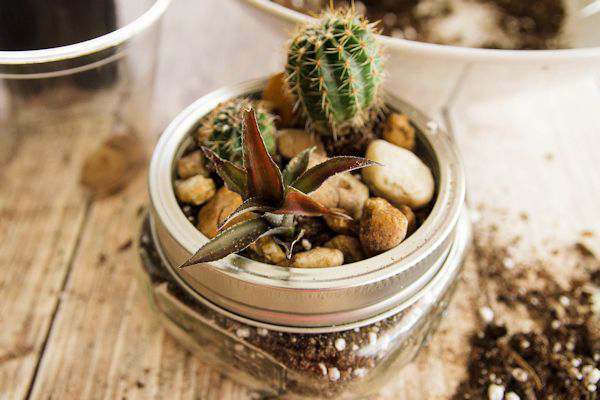 And you could use any small plant or jar for this project. The possibilities are endless! I had no clue what a succulent was until I read this, but it would make an awesome teacher gift to send in to school with my boys. What a fun idea! I love having plants around and this is a great way to repurpose mason jars. I think I will have to make one for myself. Great gift idea. Succulents are low maintenance plants. They need very little watering and would thrive well indoors. Thanks for sharing! I thought the same thing… perfect teacher gift. Would look great on their desk and wouldn’t need too much care! This is the prettiest gift idea! I would LOVE to receive this as a Christmas gift. I love succulents because, like you said, they are so easy to take care of. My green thumb tends to disappear once I bring flowers inside, so this is perfect for me. This is so cool! I would love to have one of these on my desk. It would definitely be a memorable gift too! Adorable! It’s also a nice giveaway for parties. Thanks for sharing this craft, it’s easy to do! My grandmother would really love this as a gift. She has been gardening for majority of her life. What a great gift idea. I never would have thought of planting succulents in a mason jar. Wow! 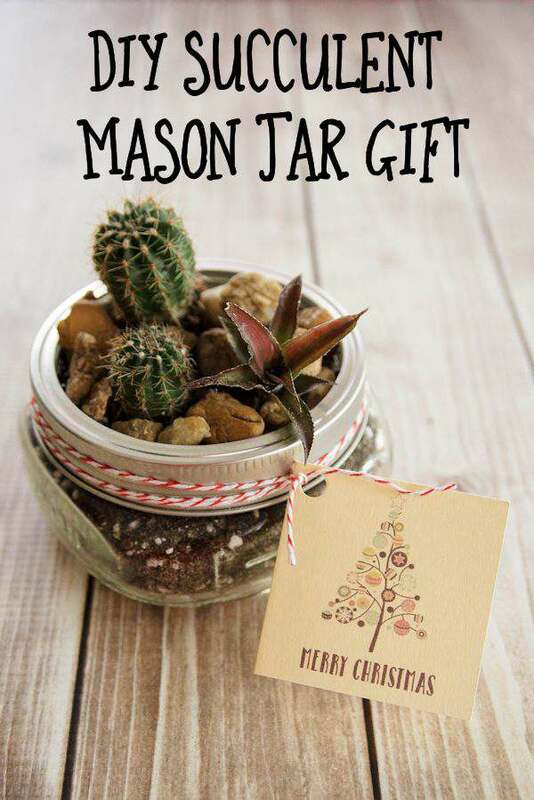 This would be nice for me, I love gardening and this DIY Succulent mason jar would be great. This is super cute! I have been looking for the perfect gift for a friend of mine and I think this is it. I just fell in love with it! What a very nice gift idea, I would love to have one at home. These are so cute! So easy to make and to keep. Great gift idea for someone who loves homemade gifts.- maybe a teacher or babysitter! this is really cute and would make a great centerpiece! This is a great gift idea. It is cost-effective and beautiful at the same time. Such a wonderful giveaway! I’m sure my mom would love to win this. This is totally adorable! I have mason jars jut waiting for me to do something with them, and I might jut try this. This is such a great gift idea! I love it! What a great hands on gift! I love gifts that are from the heart, this is a gift my mother in law would enjoy. I love succulents but I’ve never thought of putting them in mason jars!